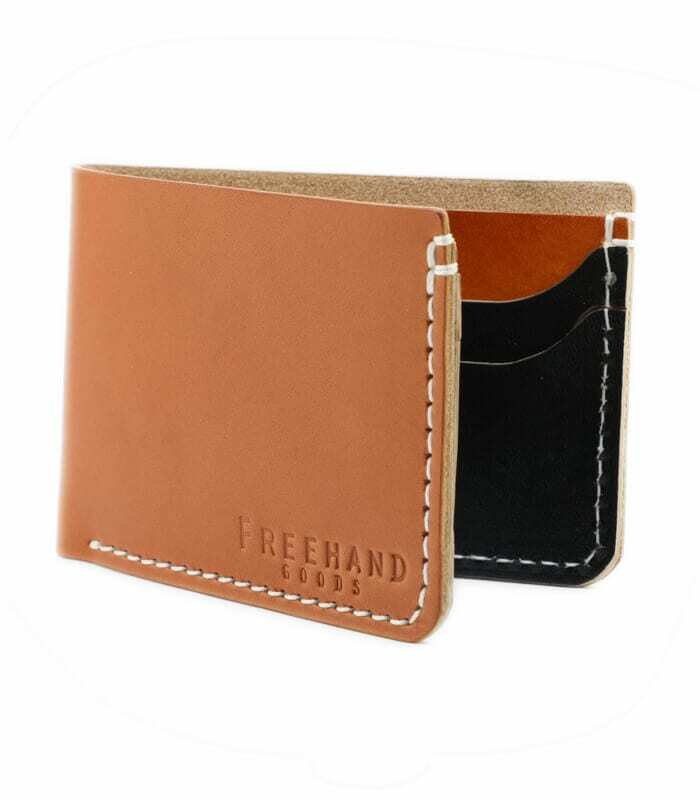 Freehand Goods owners, Seth & Jacob, were introduced by a mutual friend in 2016 in order to create a small batch of handmade leather goods. We didn’t want to be the biggest but we did want to create the highest quality wallets at an affordable price, all produced by hand in the Orlando city limits. Our leather goods are hand cut, dyed & sewn one at a time. Our grooming products are measured, mixed & poured by our four hands. The shirts are printed locally, our candles are poured inside East End Market & our hats are patched up one at a time. You can truly say each one of our products is one of one. 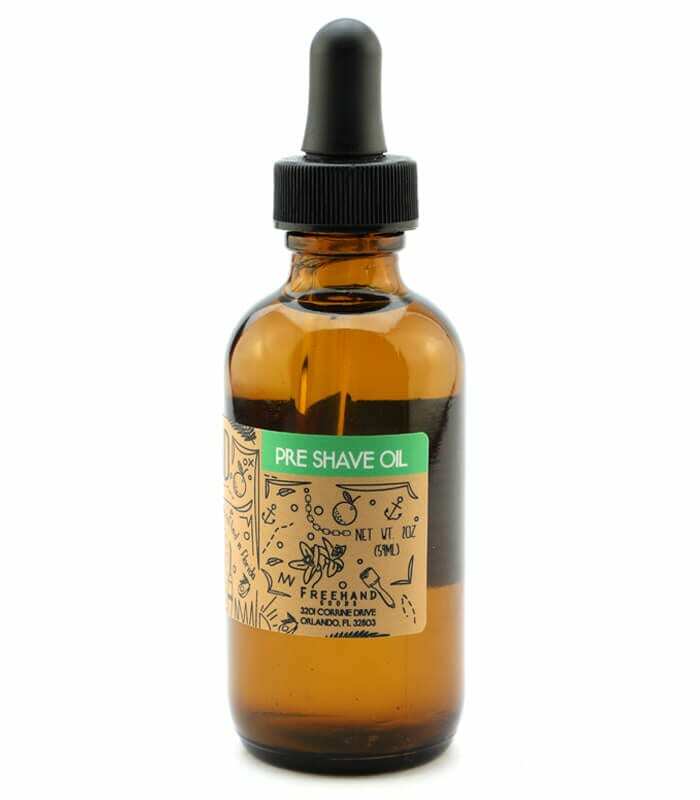 An alcohol-free After Shave splash that packs beneficial essential oils and extracts into a soothing witch hazel base. Calming, healing, and leaves you smelling classic barbershop clean! Heart notes of amber and rum with a light top note of musk. 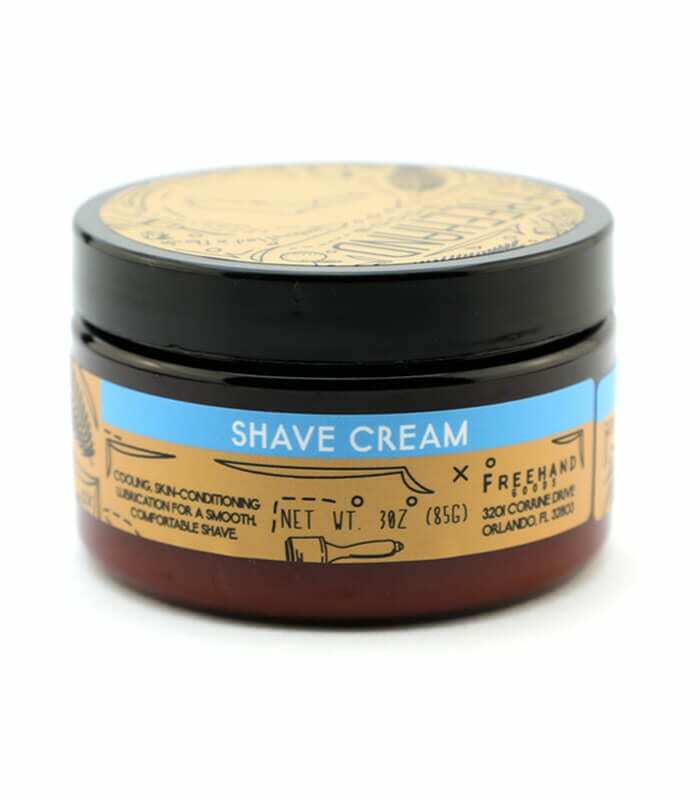 This All Natural Deodorant was handcrafted from start to finish by Jacob Zepf, co-owner of Freehand Goods. Jacob switched from using commercial skin care and grooming products in 2015 after realizing the natural benefits. He also realized that it wasn’t necessary to have a background in Chemistry to make these products at home. His business partner Seth Daniels is currently a Florida licensed barber who had already formulated two unique recipes when the company was formed in 2016. 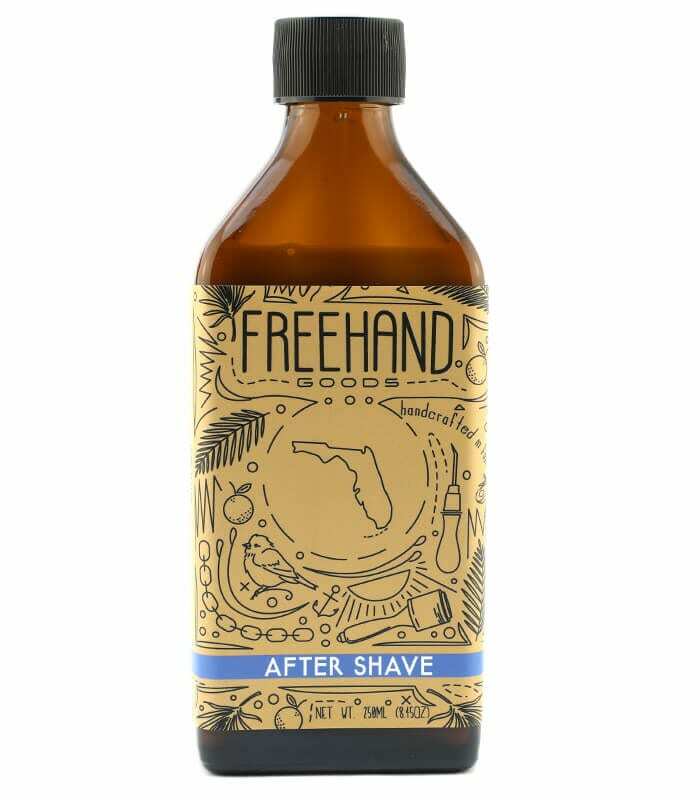 Although Freehand Goods started with only leather wallets, it quickly expanded to offer these After Shave and Pre Shave Oil recipes when the East End Market workshop and stockroom opened in February 2017. Jacob and Seth continued to work together to formulate more all natural recipes based on what they liked and what the Freehand customers asked for. Solid Colognes were next on the list and have been the most popular sellers to date. Hair products such as the Pomade and Matte Clay were developed shortly after and can now be found in certain barbershops and salons around the City of Orlando. The grooming collection has grown from the original two products to the current offering of almost 20 different all natural items. There are no plans on stopping either. Both Jacob and Seth are constantly rethinking formulations and testing out new products on the shelves. Although Jacob takes care of the grooming product production these days, both members of the Freehand Goods team have the highest standards for ingredient quality and production accuracy when handcrafting these all natural products. My husband loves this after shave. I hope you never stop making it because it’s a great product. Not an overpowering smell but a calming, relaxing, masculine one. I love the smell and he’s had random women coming up to him telling him how great he smells.